Instagram has become a key platform for expressing self-love as Insta-bloggers and celebrities alike are using their social powers for the greater good, encouraging followers to embrace their natural selves. Demi Lovato launched her #freshfacedFriday campaign Friday, motivating followers to upload photos of their makeup-less faces. 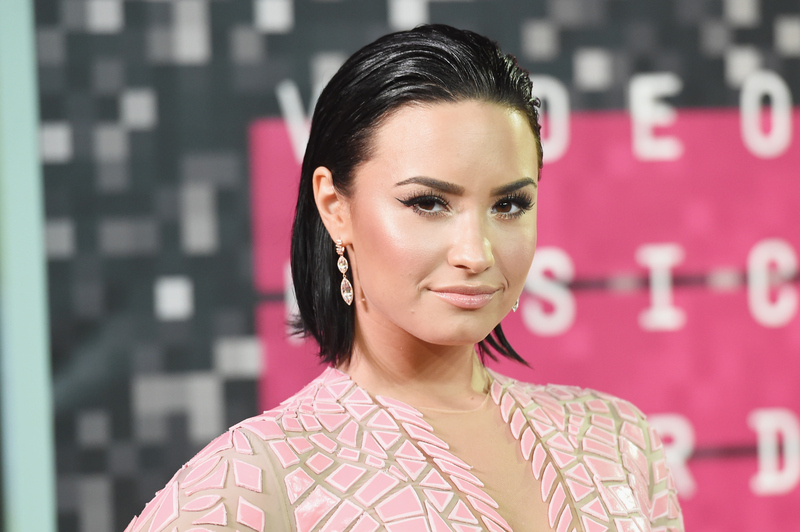 A handful of celebrities such as Tyra Banks, the Jenner sisters, Zendaya, and Lady Gaga have opted to snap a makeup-free selfie from time to time, but Lovato is basically the poster child for #NoMakeupMonday. The "Cool For The Summer" artist has an open relationship with her fans, having admitted to her past struggles with body image, eating disorders, and insecurities. She has taken great strides to accept her true self completely, and motivates her fans to do the same. Whether a woman decides to layer on the beauty products each morning does not define her. The woman who puts on a full face of makeup every morning is no less "real" than the woman who decides to head out bare-faced, and those who opt for a no makeup look are no less attractive than the women who doll up on the daily. It is important to note that the focus of these makeup-free campaigns is not to encourage an anti-cosmetic society, but rather to make a statement. At first glance, I figured maybe Lovato was switching up her routine. Maybe she has an event on Monday that requires some makeup artistry. But then I realized Lovato was simply, once again, proving her genius. Fridays mark the start of the weekend, and I know I feel sort of obligated to get a little more glam for cocktail hour with the girls or a date night with my man. Weekends are social, and what could be more self-assuring than heading out on the town with a fresh face, proclaiming to the world that you embrace your natural beauty? Lovato's weekly posts remind us that those who love you, will love you regardless of whether or not you stain your lips or bronze your cheeks, and we should be relaying that same love and affection to ourselves every single day, makeup or no makeup. Check out 11 times Lovato went makeup free, inspiring us to get made up a little less and love ourselves a little more. As glammed up as this girl gets for award shows, she is equally as gorgeous without the glitz. Makeup is a non issue. Puppies love you always. I'm obsessed with this girl's freckles. What she lacks in cosmetics, she makes up for in sweat. Look at that skin glow. Share your natural self with the world. She's bare faced for the summer. Too much makeup is a one way ticket to damaged skin. Lovato is not only promoting self-love, she's promoting self-health.